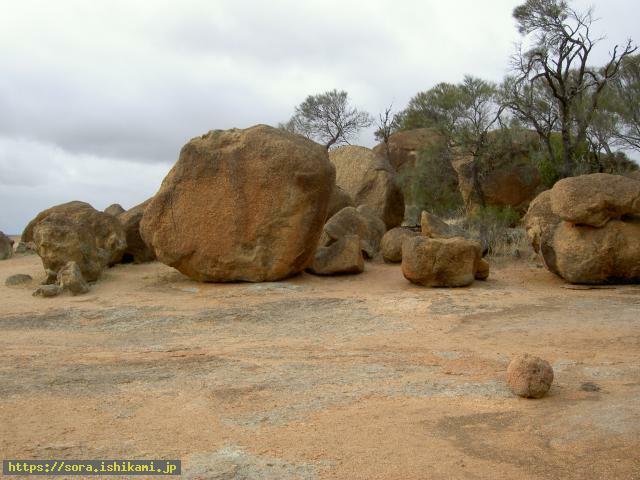 There are big rocks dug from ISHIKAMI's body. They are very large. How can a geologist explain these rocks on the monolith? There is a hole by the rocks and trees grow. ISHIJINS dug holes on ISHIKAMI's soft body. Holes for saving water were made for Aboriginals. 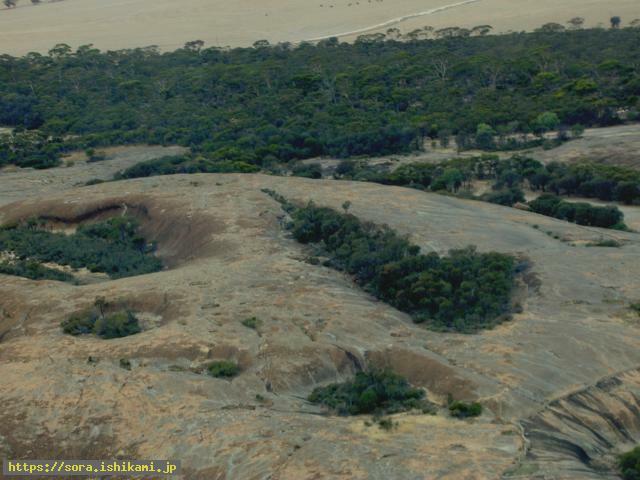 There are some round rocks on the monolith (Wave Rock). 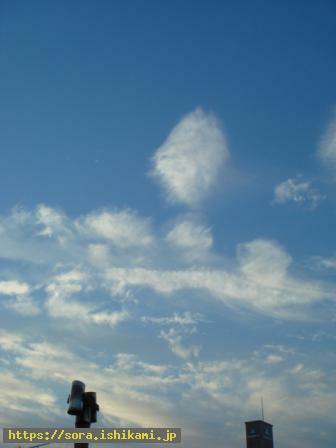 A picture shows a wave part from the sky. 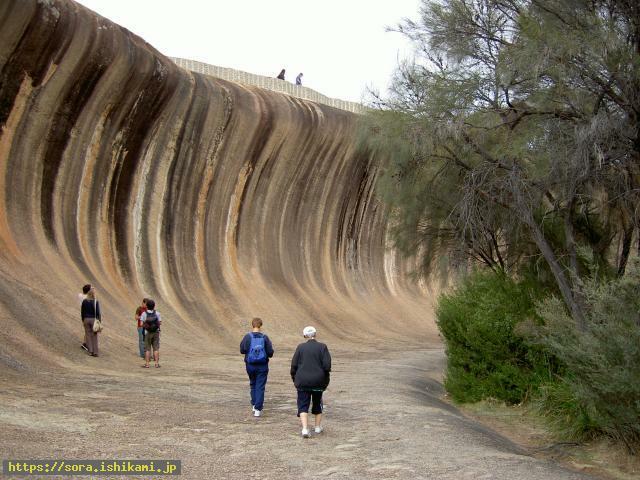 Wave Rock shows that a typhoon has consciousness and ISHIKAMI is related to typhoons. It tells that ISHIKAMI becomes a big wave and goes to Japan to greet. If people pay more attenition to ISHIKAMI, typhoons won't cause serious damage. シリウの王女です? A prinecess of Siriu? 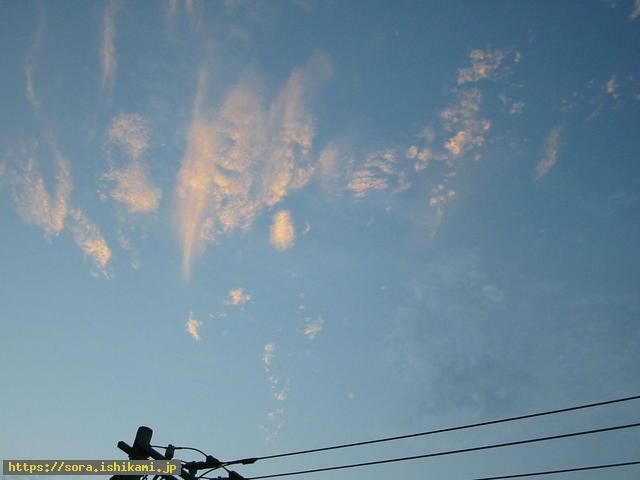 A top cloud expresses a prinecess of Siriu? 地下空洞のイシカミ? ISHIKAMI who became an underground cave? I had a vision that two white, big and round lights appeared. I was informed two lights are ISHIKAMIS who covered the earth and became underground ISHIKAMIS. Clouds appeared the next day I had the vison. A princess of Siriu is on the left and ISHIKAMIS are glad to see her.